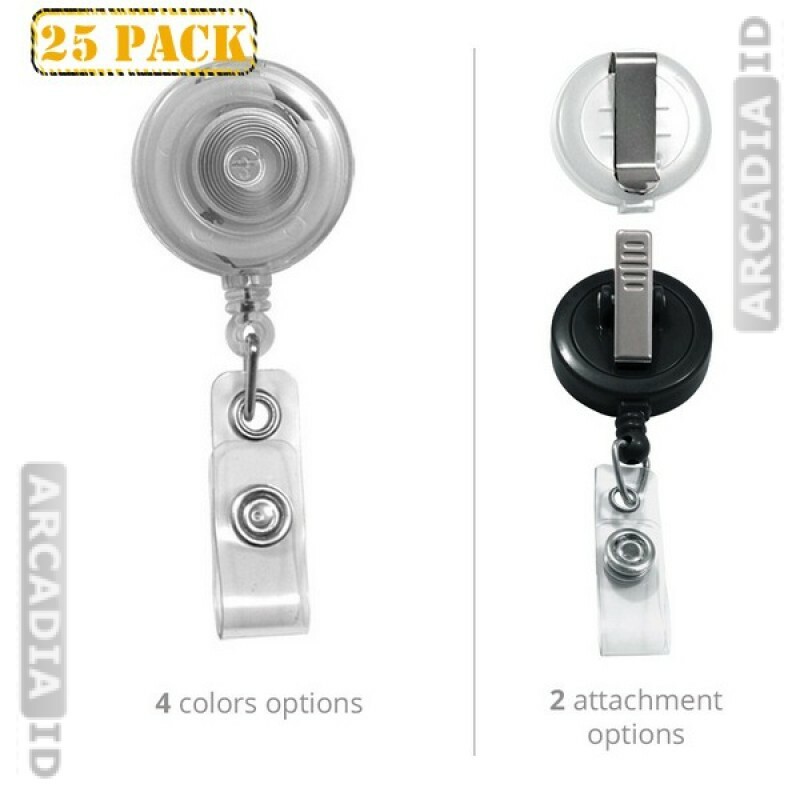 Buy bulk lots of 25 badge reels. These provide easy access to your badges while keeping them clipped to your uniform. You choose the right color for your organization and the right type of fastener that will provide a secure hold for your clothing. 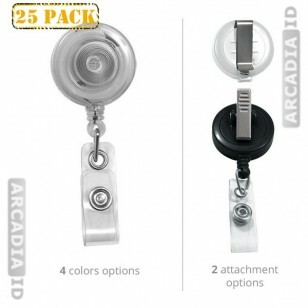 Take a look around the rest of the site for different types of badge reel in a range of quantities. For the best quality and prices pick ArcadiaID.